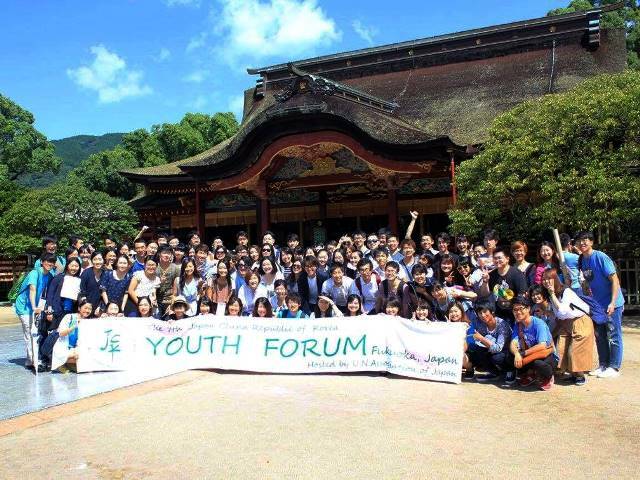 After completion of the symposium and model UN sessions, JCK students visited ancient Dazaifu Tenmangu Shrine, the imperial office that governed the whole of Kyūshū during the Heian Era for nearly three centuries from 794 to 1192. The sightseeing tour also included visits to Kyushu National Museum, Fukuoka Castle Ruins, and Ohori Park. 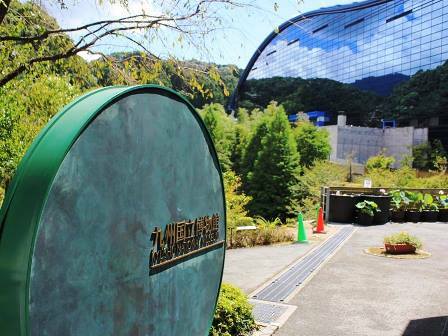 Given its geographic proximity and convenient access to the Korean Peninsula and the Chinese mainland, Fukuoka has been called “the Gateway to Japan from Asia.” In Kyushu National Museum, students enjoyed the exhibition of cultural exchange with ancient East Asia. The ruins of Fukuoka Castle attracted students with green walk trails and beautiful scenery of Fukuoka City from the top of the ruins. In the Edo period, this castle was the biggest in Kyushu, but it was destroyed by the order of the government in the Meiji era. Nowadays, only ruined walls and a few turrets (yagura) remain. 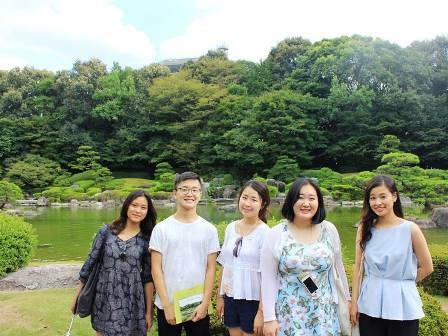 Students visited a Japanese traditional garden in Ohori Park, close to the ruins of Fukuoka Castle. 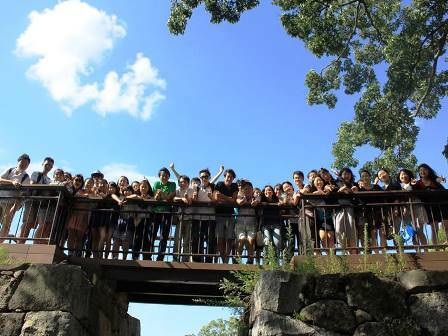 It rained off and on all day, and students could enjoy a beautiful scenery and a refreshing air after the heavy rain. The purpose of this tour was not only to understand the Japanese history and culture but also to see how Fukuoka has interacted with other close neighbors, China and the Republic of Korea from ancient times. This was the last day for the whole program, so after the full-day tour around Fukuoka, students got together for dinner and promoted friendship.